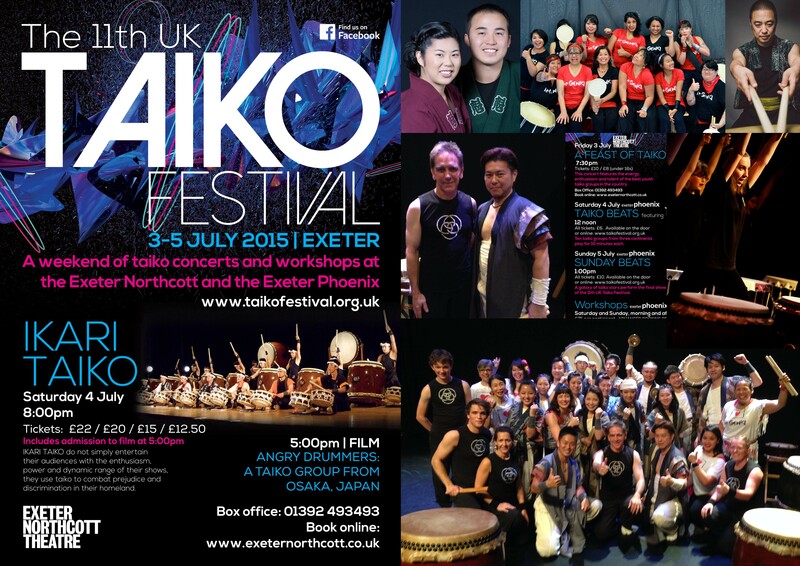 11th UK Taiko Festival, 2015. At the Exeter Northcott and the Exeter Phoenix. 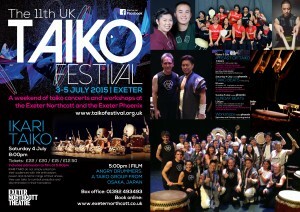 A quick tour of A Feast of Taiko, Taiko Beats, Sunday Beats, and the Saturday night performance by Ikari Taiko from Osaka – more correctly called Kizuna in this case, as the performers were drawn from six different groups in the city, all working “together”. See also: 1st UKTF; 2nd UKTF; 3rd UKTF; 4th UKTF; 5th UKTF; 6th UKTF; 7th UKTF; 8th UKTF; 9th UKTF; 10th UKTF; 12th UKTF.